Posted on October 31, 2017 November 3, 2017 by Mat A.
It’s almost the beginning of November. That means the holiday slide will be here soon. If you don’t use that term let me fill you in on how I use it. It’s about this time every year, usually right at Halloween, when I realize we’ve got 2 months left in the year. We start talking about where we are having Thanksgiving and how Christmas is going to look like and hey, wait, are we going to do anything this year for New Years?? And I start thinking about fun things to do around the holidays and then I realize most of the weekends now have something planned on them. Then I blink and Christmas is here. And then it’s the end of the year. And what is funny yet sad in a way is how much gym memberships swell and for about 1-2 months everyone is grinding away at the treadmill or weights or they are on a new diet to shed those holiday pounds. And everyone is in a crazy frantic mode to make this the year they will improve so many things in their life. And after a few months it’s all back to status quo. Why? Well for several reasons but one of the big ones is that a lot of people tend to bite off more than they can chew at once and due to frustration, simply give up. In order to build a strong house you have to build your life one brick at a time. I personally think that your health should be right at the top of your list of priorities. When you have your health your life is a LOT easier and a LOT better. It’s like the base from which good things can flow in your life. Conversely when you don’t have good health things are much tougher. This involves many moving parts so even thought it’s one component in the complex system that is your life it really lays the foundation for all the other parts of your life. Plus it takes time and energy to ensure you are in good enough shape to confidently face whatever comes your way. You’ve got to throw in everything from working out regularly to eating fairly healthy to getting doctor checkups to not overindulging too much to getting enough sleep. All of those things take time. But honestly it is vitally important. Plus you have to remember that a fit body also feeds a fit mind. I personally get as much out of working out and staying healthy from a mental standpoint as I do from a physical standpoint. It is imperative (in my opinion) to pay close attention to your health and to do whatever you can to ensure you are healthy and fully functioning. Your life literally depends upon it. And like I said, it affects every other part of your life in one way or another. So if you aren’t happy with your life and your health is not where you know it should be, start here. This alone will take a big commitment but will also pay huge dividends. One of the biggest reasons why people fall off the bandwagon and simply give up on new endeavors is they try to do too much. When I worked for Kinko’s I was known as a turn around manager. I would go into a store that wasn’t functioning as well as it should. Usually way below what it could. I would then spring into action and implement a series of actions and new ways of doing things that would improve the performance of the store – from increasing sales to increasing profits to raising morale. And I was good at my job. Something I struggled with though was having a long list of things that needed to be changed and the timing of those changes. 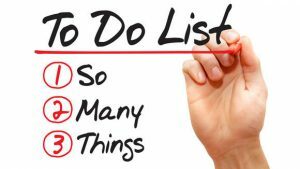 I would have a list of 15-20 things I wanted to change and if I tried to do too much at once – BOOM! Nothing impactful or sustainable came from it. There would simply be too much for my fellow coworkers to embrace all at once and therefore nothing would happen. I finally got smart and even though I had a list of 20 things to change I’d PRIORITIZE that list and implement 1-2 changes per month until it became the norm then I’d introduce something new. And this is true of us as individuals too. What tends to happen to us as individuals is we get to a point where we feel that we need to change so many things we wind up being frozen. We think of all the things we want to change in our lives and we simply feel overwhelmed at the amount of work we will have to do to change any one thing so we do nothing. We worry and stress and berate ourselves for not making more money or being in better shape or for not being a better parent but we don’t do anything about it. This leads us to feeling stuck and powerless. And therefore nothing changes. I tend to take a look once or twice a year at the total view of my life. How is my health? My relationship with my daughters? My job? My marriage? My personal growth? My art? Ours are all different but the point is to take a long look at your life and decide what parts you like and what parts you don’t like as much. What do you want to change? Now for some people they want to change a lot, for other folks it might be one or two things. Or if you are smart and are on constant correct in your life, it could be nothing. My suggestion is to block out a couple of hours of your time and find a quiet spot. Allow yourself the time and the focus to take a deep look at your life and write down what you like and what you’d like to change. 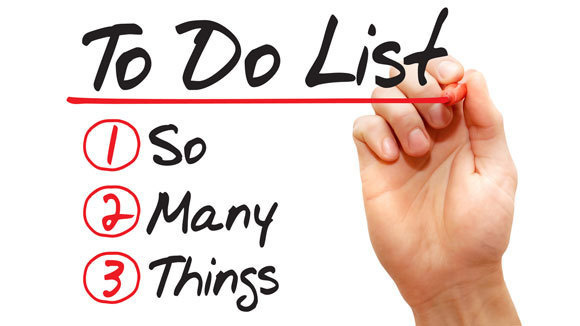 Once you’ve identified the things you’d like to change prioritize them. Whatever is the most important goes on top and that’s what you start with. Come up with your #2, your #3, and so on. Then once you have your list take it to the next level and decide what action you are going to take to address your #1 on the list. As I am sure you’ve heard as many times as I have – the journey of 1,000 miles begins with the first step. Also overused is the first step is always the hardest. And that’s typically true. The biggest challenge to hurdle is to simply find the motivation to take that first step. Once you do that you commit to doing it for a week. Then for a month. Then for as long as it’s relevant or you want to. Don’t get overwhelmed by over thinking it or coming up with a huge laundry list of all the things you want to change. 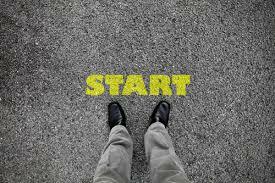 Make your plan of action and take that first step. If you try to do too much at one time this is how people get overwhelmed and frustrated and ultimately give up. Just take that first step. Once you feel like you’ve got your top priority working and you are feeling good about your momentum there you can add your #2 to the mix. Just add your #2 though, don’t go all crazy and add numbers 2-4. Just add one thing. And get that integrated into your life until you are satisfied with where you are at with it. This could be a month or this could be a year. You have to take the long view on these things. In this world of instant gratification we want THINGS NOW. But the most meaningful things do not happen in a day or a week, they take time. You must take your time and build your house one brick at a time. As always I’d love to hear your thoughts on the subject. I just could not agree with you more. Everything is spot on. Being too ambitious is as bad as not having enough ambition. 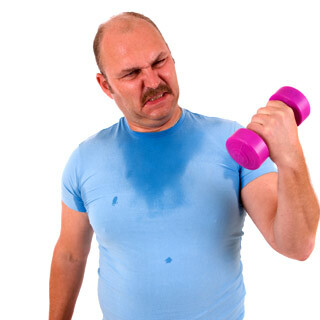 You finally burn yourself out or quit in frustration when you do not manage to get the results you wanted. I have done this many times. I think it is important to think about what you really want (and need) in life and then make a plan for how to get it. You need to think this trough carefully because what you think you want (like a fancy new car and tons of money) might not be what really makes you happy. Getting to know yourself well will help you to achieve this. It is easier said than done but I think this is what you need to do in order to get things in order and construct your life. Thank you for your input and thoughts, I really appreciate it. Glad to hear you feel similar. It’s just so easy to get overwhelmed and it leads you right back to where you started……ground zero. Have a great one! Thanks for sharing your article! Great advice on building your life one brick at a time. A lot of us gets distracted by what we can, but forgets about what will help us get there. You are absolutely right about our health being the foundation! Great life and health lesson! I will most definitely share this with my friends at school. Hi Eric! – thanks for the thoughts, I love hearing your perspective. I believe we have to keep an eye on all aspects of our lives on an ongoing basis and make corrections as needed. If you don’t have your health, you don’t have much. Thanks and take care!